During any job, general contractors (GCs) have made a commitment to the building owner or developer to complete the work according to specifications, on time and within budget. One of the challenges they may face in delivering on that commitment would be a failure-to-perform issue with one or more of the subcontractors hired to complete specific aspects of the job. If a subcontractor stops work for any reason, the project is threatened and the GC may face serious repercussions. 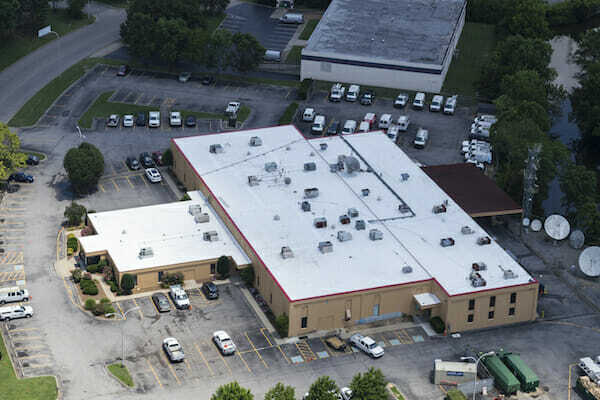 A general contractor, therefore, should work with a proven, reliable commercial roofing contractor who has a history of doing quality work quickly and correctly the first time. Here are six criteria GCs should look for when hiring subcontractors. The single most attractive trait any subcontractor can possess is job competence. Unless the GC is a roofing expert, it is essentially impossible to tell if the roofers are performing the work correctly as they go. How can the GC or the owner supervise the roofing contractor’s work or get assurance that it will be done well? When it comes to roofing projects, a warranty provides some quality assurance, but not necessarily enough to ensure that the contractor is completing the work at an acceptable level of quality. Owners and GCs cannot fully rely on warranties, because they can be difficult to fulfill (for instance, if the roofing contractor goes bankrupt). Another option is to hire a third-party consultant to monitor progress. The developer, owner, or GC could also ask the manufacturer to perform periodic inspections of the materials. These alternatives, however, are time-consuming and expensive. The best option is to hire a competent, diligent roofing contractor who gets it right the first time. Past performance is the most accurate indicator of how a contractor will execute a job. The number one assurance for GCs is to hire a contractor with whom they have worked before and can trust to complete the work to the highest quality. When that is not possible, they will rely on referrals from trusted individuals and colleagues, as well as recent testimonials from the contractor’s clients. By doing a little research, you may also find roofing contractors who’ve won awards or have been recognized within the industry for their work—all great predicators of quality. On any job, multiple trades work independent of each other under the direction of a GC. Sometimes, however, their trades overlap. For example, if the job calls for through-wall flashing where the roof meets a wall, the mason may be responsible for providing flashing and the roofer may be responsible for the sheet metal. The no-man’s land between these adjacent trades is where defects are most likely to go unnoticed. For a GC, the best way to avoid inter-trade errors is to hire trusted contractors who understand construction beyond their individual expertise. The mason and the roofer are less likely to make a mistake if they each understand how the other trade operates, how their workflow progresses, and their individual and collective responsibilities. In the industry, contractors are generally perceived to be poor communicators. One of the surest ways a roofer can stand out as an exceptional contractor is to reach out and initiate communication. Most general contractors will have worked with roofing contractors whom they have to chase down to get information. Therefore, a general contractor will look to hire a roofing contractor with strong, proactive, and clear communication skills. If the contractor returns calls promptly, provides information in a timely matter, and proactively communicates about potential issues, status reports, updates, and answers to questions, expectations are better managed and the project is likely to go a lot smoother. Customer service goes beyond excellent communication. Service-oriented contractors respect the job site and treat the building as if it were their own. They work well with other trades, they don’t leave a mess or debris, they keep the customer informed and they work efficiently and honestly to resolve any issues that arise. General contractors will assess roofing contractor’s customer service skills and hire the contractor who demonstrates genuine care for his or her customers and the willingness to serve them well. Through experience and overall construction knowledge, good contractors understand inter-trade workflow, which helps avoid costly scheduling mishaps. A GC does not have delays built into the schedule. When it’s time for the roofer to get to work, the roofer has to be there when the GC sends the notification. The roofing contractor, however, can’t have a crew sitting idly waiting for a GC to call. The only way to mitigate scheduling conflicts and be punctual is to understand job site workflow, which can only come from experience and planning. A professional roofing contractor understands critical path scheduling and can actually help the GC build the project. General contractors have a ton of moving pieces to manage during any construction project. Their word is on the line should the project go awry – which means they should take hiring subcontractors seriously. Any general contractor worth his or her salt will have these six characteristics top of mind when assessing and hiring a roofing contractor.